Are you a visitor who has been arrested and charged with DUI while driving Safety Harbor’s beautiful tree lined streets? Are you are Safety Harbor resident who has been accused of driving while under the influence in your own town? In either case the law office of Finebloom, Haenel & Higgins has resourceful and relentless dui attorneys in Safety Harbor available to assist you! You may be wondering why it is necessary to hire a dui lawyer in Safety Harbor to represent you. A dui may seem like a minor charge. However, Florida has very serious dui laws. The minimum sentence you can receive for your very first dui arrest in Safety Harbor is: 12 months probation, 50 public service hours, Dui School, Drug Evaluation, 10 day impoundment of the vehicle you were driving, a six month license suspension and a $500 fine. If you blew over a 0.15 then the fine is increased to $1000 and you are required to install an ignition interlock on your vehicle for at least 6 months. That is the minimum sentence you can receive. If you have had more than one DUI charge, the penalties increase. Your third dui arrest can be charged as a felony in some circumstances. A felony dui charge can result in a five year prison sentence. However, there are valid defenses to a dui charge. Safety Harbor dui lawyers are familiar with the local agencies and can provide a more comprehensive defense than those from out of town. 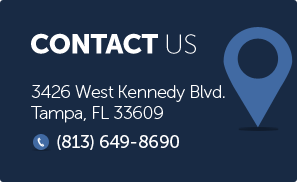 Experienced Safety Harbor dui attorneys knowledgeable in agency procedure and can provide insight into your case that a newer attorney cannot. For example, you may be able to challenge the reason you were pulled over. To determine this you would need to speak with a dui lawyer. Safety Harbor is patrolled by the Pinellas County Sheriff’s Department. At the office of Finebloom, Haenel & Higgins our dui attorneys represent individuals stopped by this agency on a daily basis. We know the law and we know the sheriff’s procedure. This insight helps us to determine if your stop was lawful. The Pinellas County Sheriff’s Office uses the Intoxylizer 8000 to measure breath alcohol levels. Problems with the Intoxilyzer are known to experienced Dui attorneys. Safety Harbor deputies may not know the proper way to operate the machine or the proper protocol to follow in order to obtain a valid sample. It is also possible to have a problem with the machine itself. The dui attorneys of Finebloom, Haenel & Higgins have several years of experience litigating Intoxylizer issues. We know which records to locate in order to determine if you have a legitimate breath test defense. At Finebloom, Haenel & Higgins we understand that when it comes to dui lawyers Safety Harbor residents have many choices. We also understand that when it comes to hiring a dui attorney Safety Harbor residents and arrestees want the best representation available. We not only surpass every expectation in the Courtroom, we provide superior client care and service. We are a comprehensive dui team. Call us now at 813-200-4412 today. A dui attorney is available 24/7 to consult with you. Let us help you fight your case today!